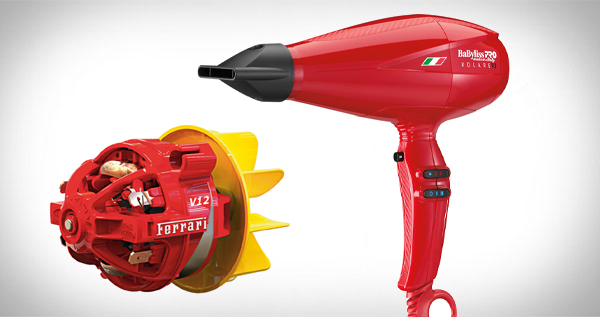 The Ferrari designed, V12 engine has a 12-bar rotor system that offers smooth run and high torque for superior engine performance. The world’s first ball-bearing blow dryer engine it gives a smoother, high-performance operation and a 300% longer life than typical dryer motors. AND it has a turbo boost button!! !